A dog who was saved from certain death after being found buried alive in an unconscionable act of cruelty is now discovering what it means to be a cherished member of a family who loves her. 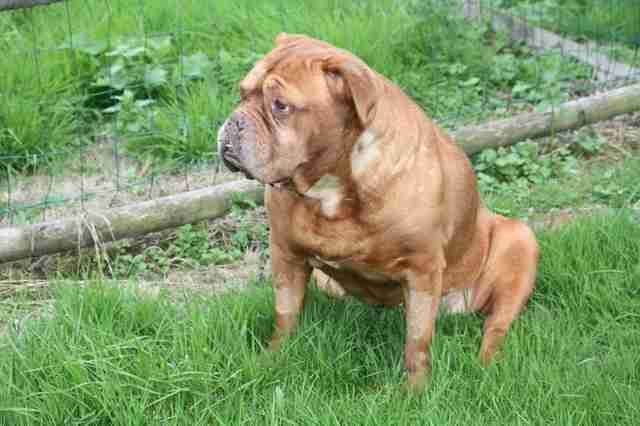 The 10-year-old French mastiff named Athena was rescued early last August in a suburb of Paris, France. 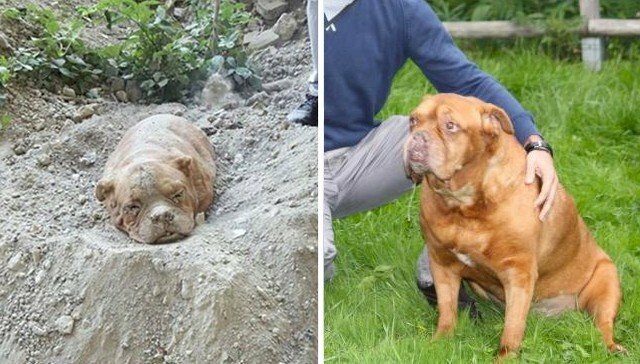 Pedro Denis had been out for a walk with his own dog when he spotted Athena struggling to stay alive beneath a mound of dirt and stones. Thanks to his quick thinking, he was able to free her from that early grave just in time. Athena was then rushed to a local veterinary clinic where, despite the ordeal that left her dehydrated and in shock, she made a quick recovery. It was there that Athena's caretakers discovered she had a remarkably gentle personality, a fact that made the attempt on her life all the more incomprehensible. "She's very friendly, not aggressive at all," clinician staffer Barthélémy Balli told The Dodo at the time. "She's a good, good dog. Really very nice." Authorities were able to track down the dog's owner, a 21-year-old man whom they believe tried to kill her by burying her alive. He was charged with animal cruelty and now faces up to two years in prison and fines totaling more than $33,000 when his case goes to court early next year. 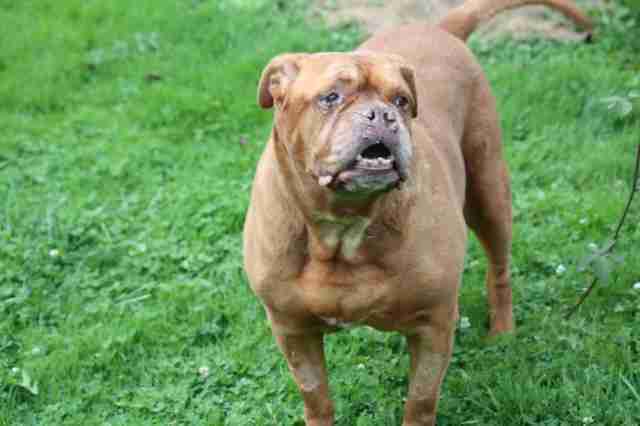 Athena, meanwhile, has been given a chance at a happy life in a new home. 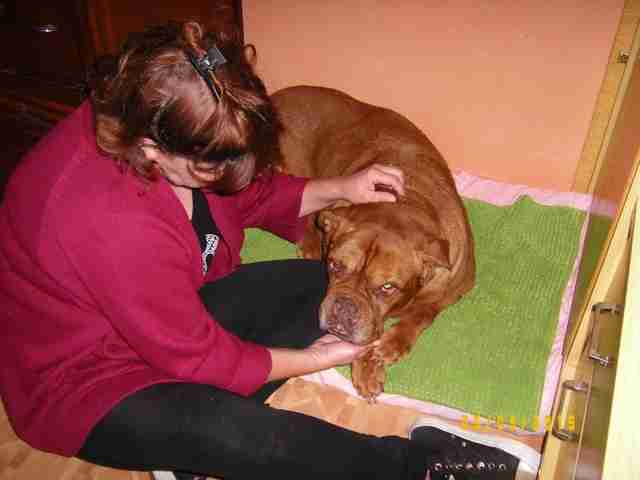 Pending the court's decision, she has been placed under the loving care of Jean-Pierre and Raymonde Delfosse, a couple who run the dog rescue group SOS Dogue de Bordeaux, where Athena is welcome to stay for the rest of her days. The Delfosses say Athena is loving her life with them - she is free to enjoy strolls through the garden and to play with the family's other animals. "She is a lovely dog," the Delfosses told The Dodo by email. "She has recovered well and is confident around people. 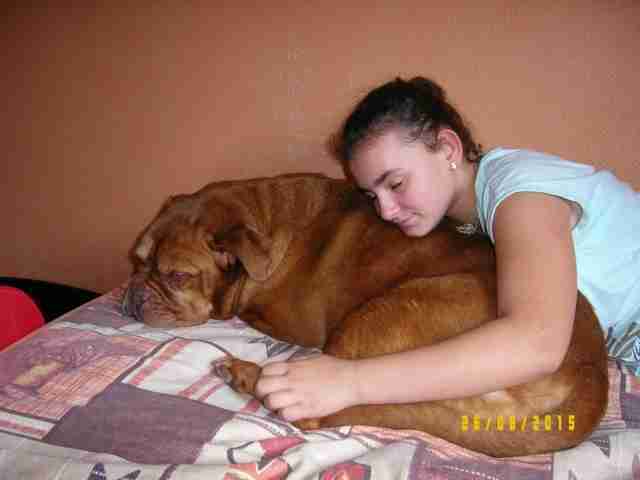 It's love." Now safe and sound, Athena recently had the chance to reunite with the man who saved her from the cruel fate that awaited her after being buried alive.